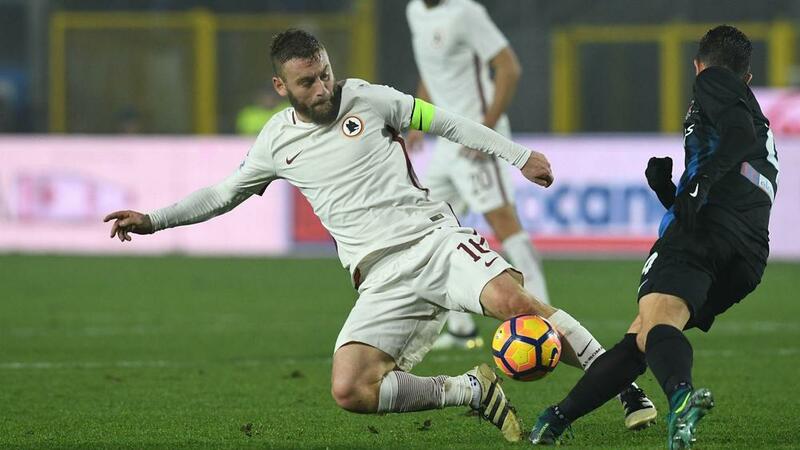 Italy midfield stalwart Daniele De Rossi believes promising Inter youngster Roberto Gagliardini could be his "heir" and a "pillar" of the national team for years to come. De Rossi is widely expected to bring his international career to a close after the 2018 World Cup, with the 33-year-old previously revealing he had originally planned to call it quits after Euro 2016. On that occasion the squad's "astonishing dynamic" persuaded the Roma star to reverse his decision, but he will turn 35 just after next year's World Cup ends. De Rossi is adamant Italy have plenty of talent to keep going as an international force once he has gone, and in Gagliardini he feels they have a midfielder with immense potential. "My 'heirs' are often spoken about," he said at a media conference before Tuesday's friendly with Netherlands. "If I think about the players compared to me in the coming years, there's Gagliardini who I believe is destined to become a pillar of this team. "I hope I don't jinx him, but I saw him for the first time in the Atalanta-Napoli match and noticed that he's different to the others and a great guy. "I hope that now he can carve out his place [in the Italy team]. He seems really strong and he has the right stuff."